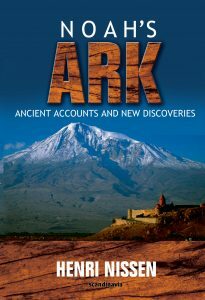 The book about the great discovery of a large ancient wooden construction on top of Mt Ararat in Turkey. A team of Kurdish and Chinese explorers found this construction in 2008 and kept it as a secret until 2010. Unfortunately few people belived them because of jalouci from other researchers who had found nothing. The mountains of Ararat are mentioned in The Bible as the landingplace of Noah’s Ark. The research of this book will raise confidence in the Bible as a historically reliable document. 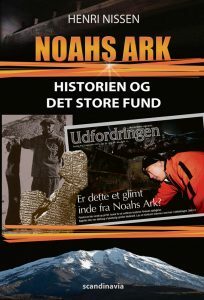 Den danske udgave og den engelske udgave (herover) er ens, bortset fra omslaget og nogle enkelte afsnit. Det er en meget flot bog i stort format, indbundet og med farvesider og fotos hele vejen igennem de 320 sider.